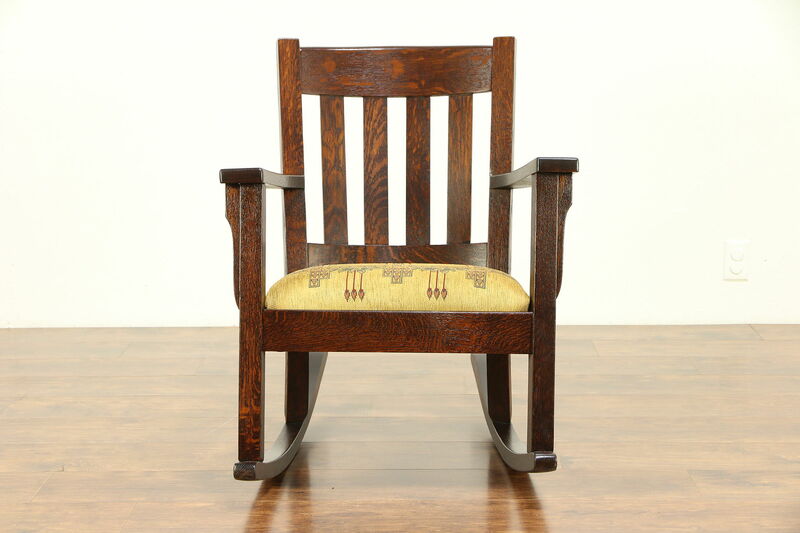 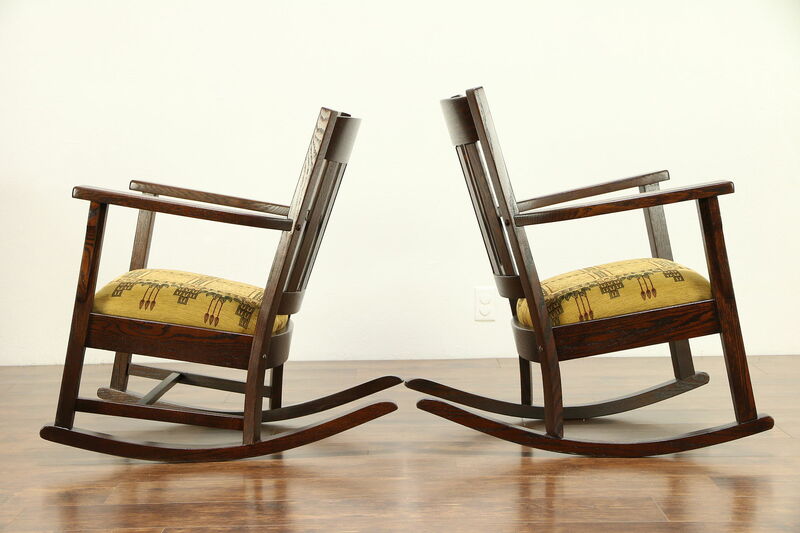 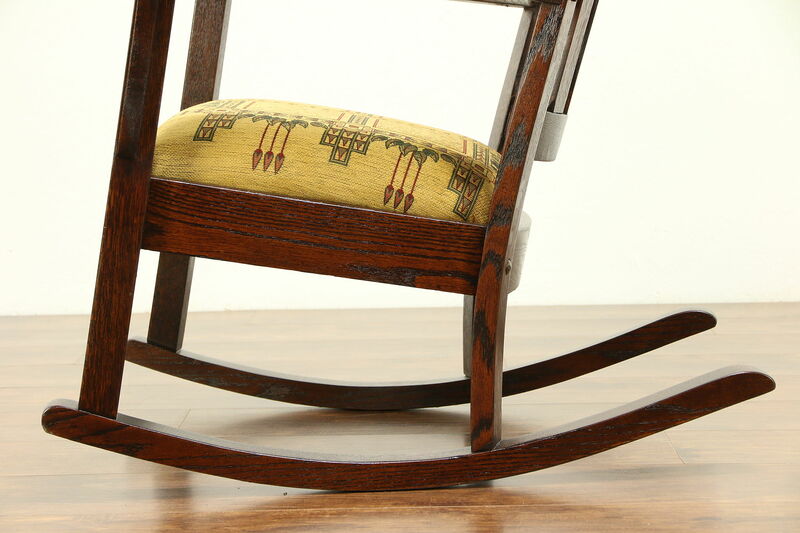 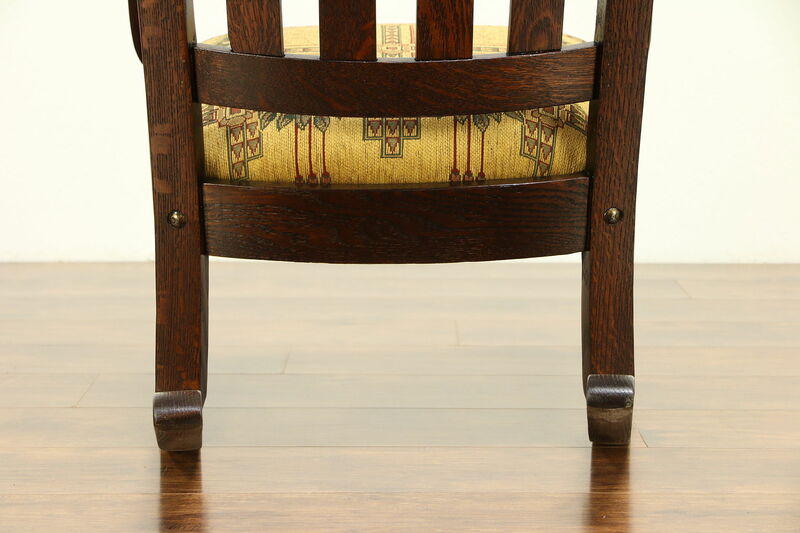 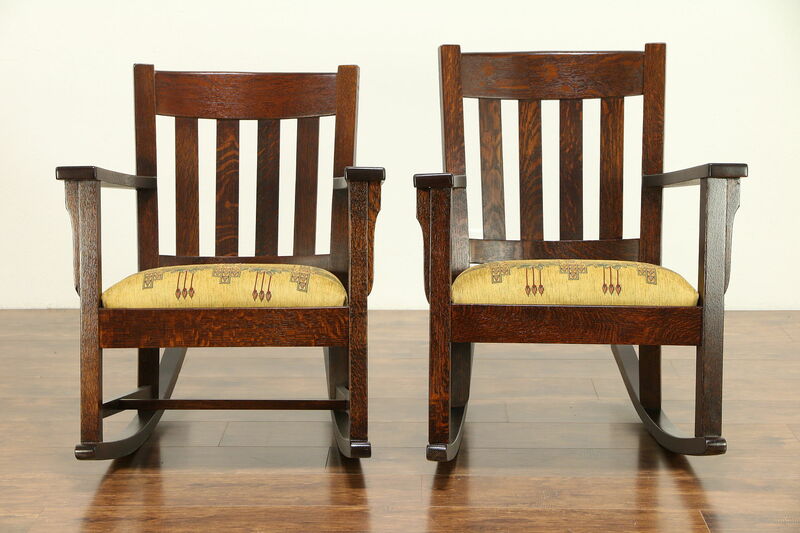 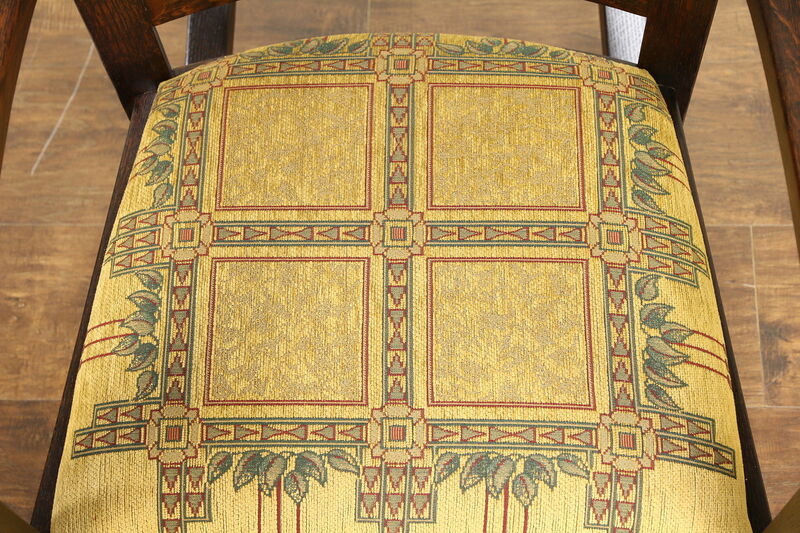 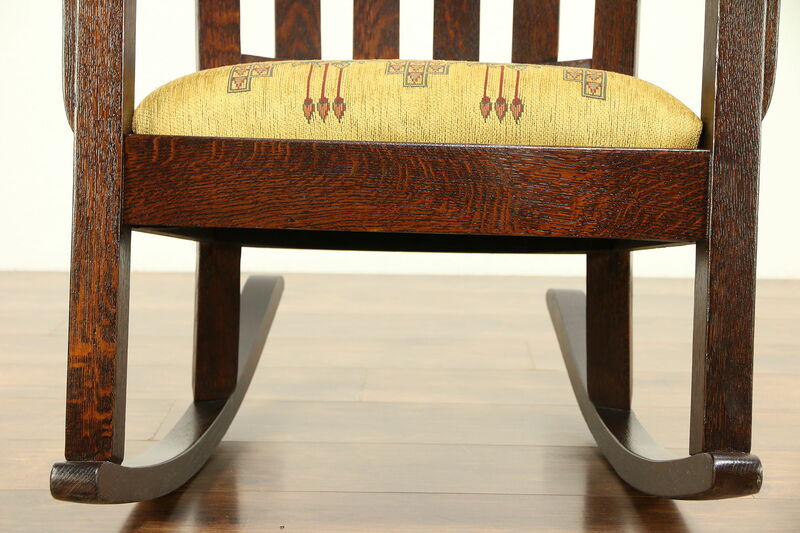 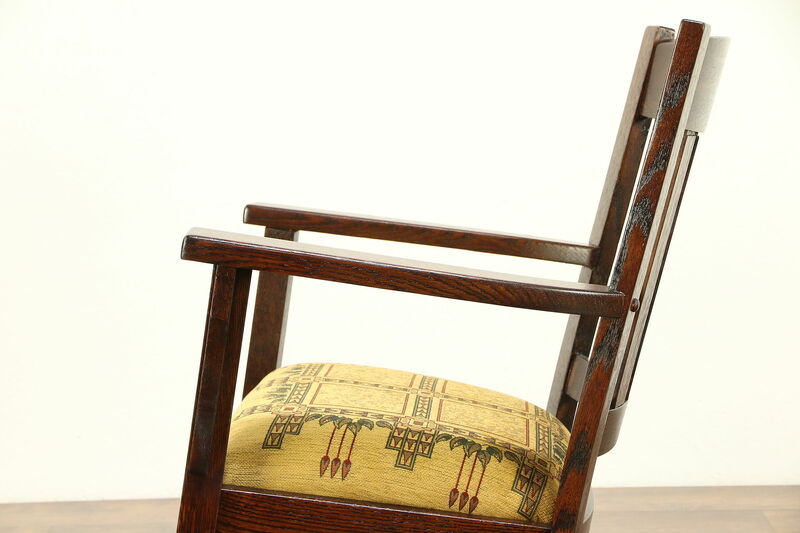 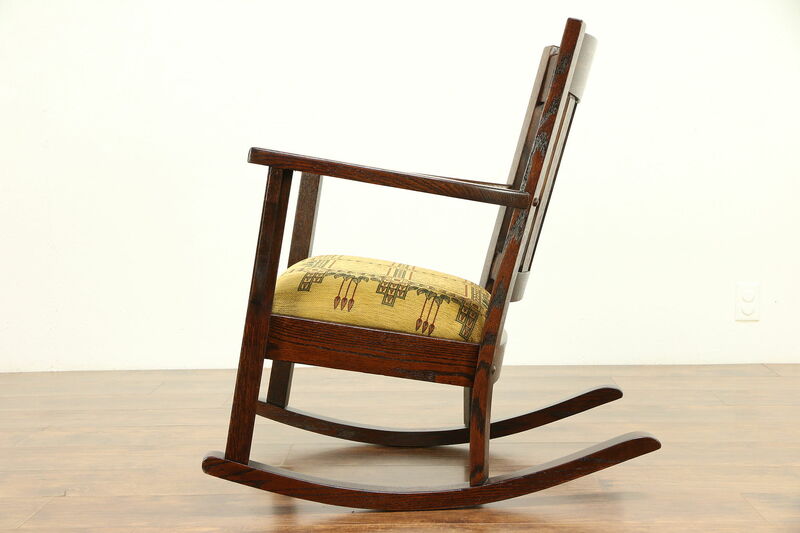 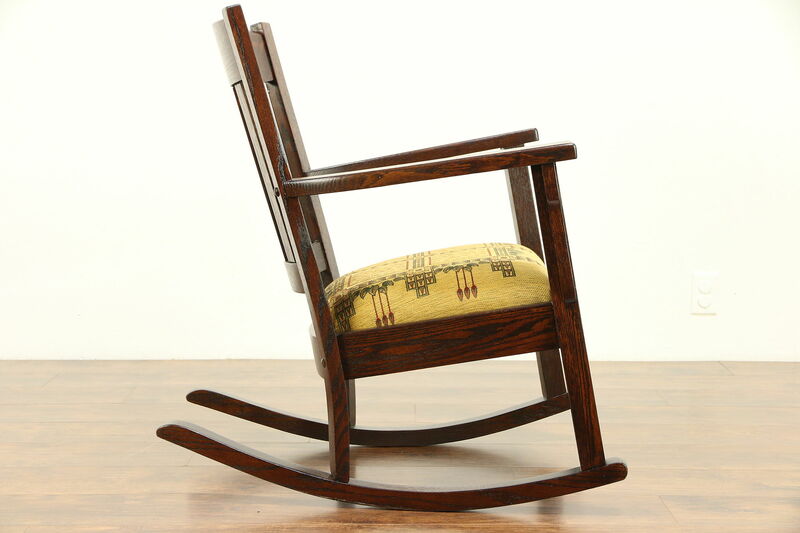 An Arts and Crafts or Mission Oak period rocking chair from about 1905 is solid quarter sawn oak with new upholstery in a design of the era. 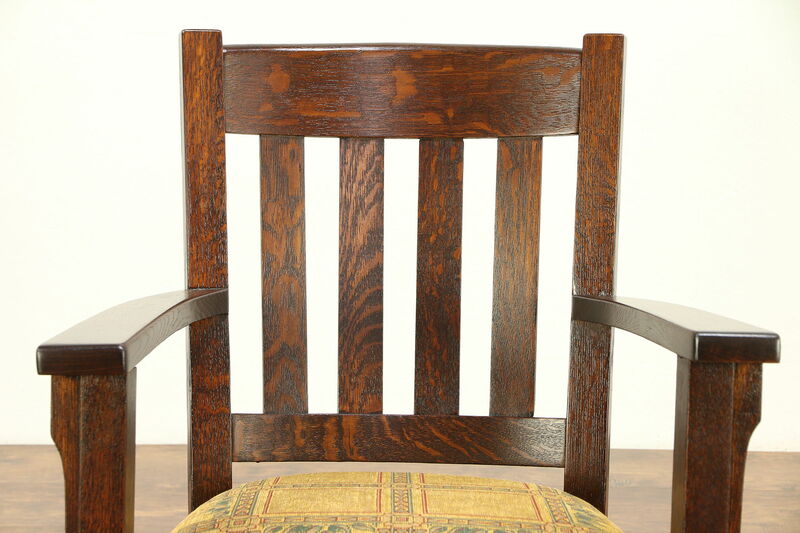 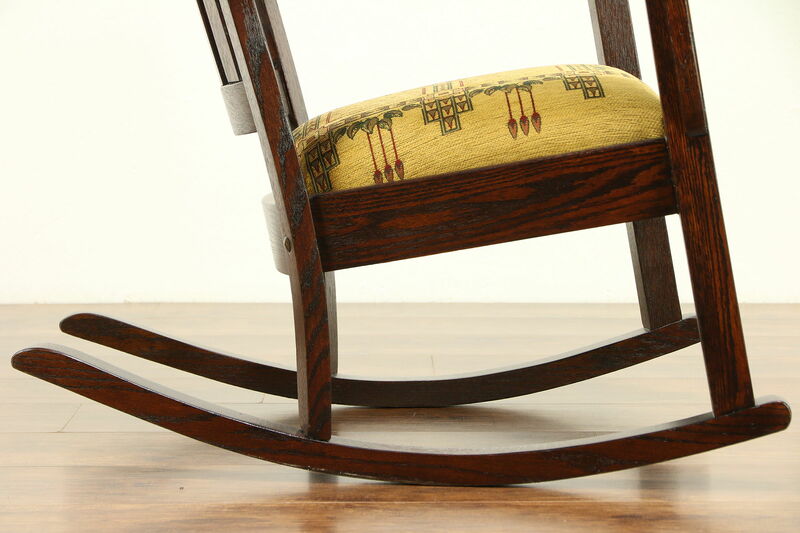 The restored deep finish is in excellent condition on bold natural grain. 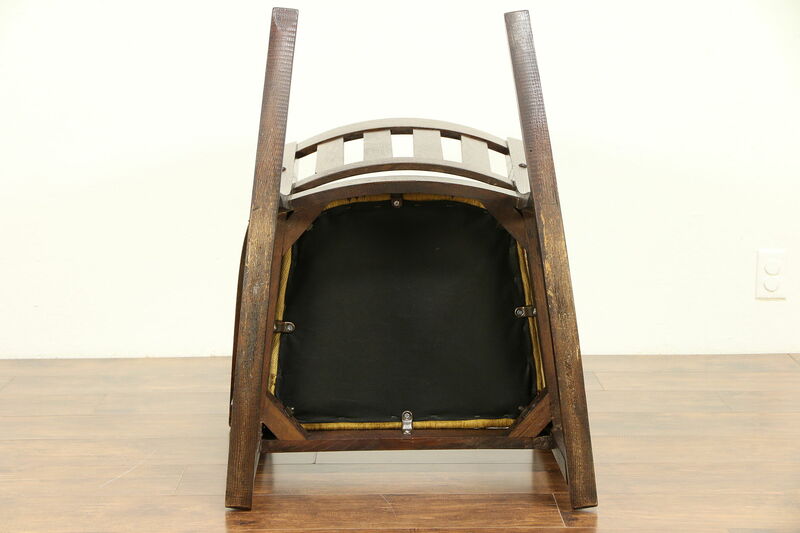 The frame is sturdy, reglued to serve another generation. 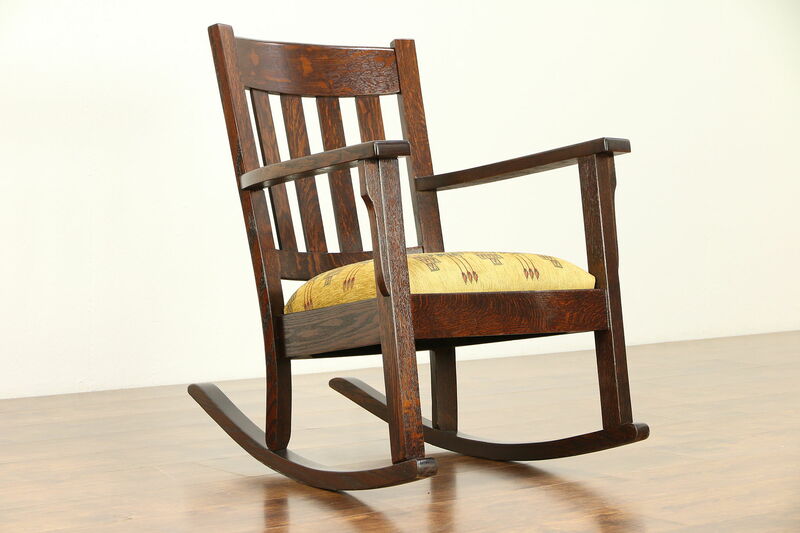 American made, this is authentic antique Craftsman furniture. 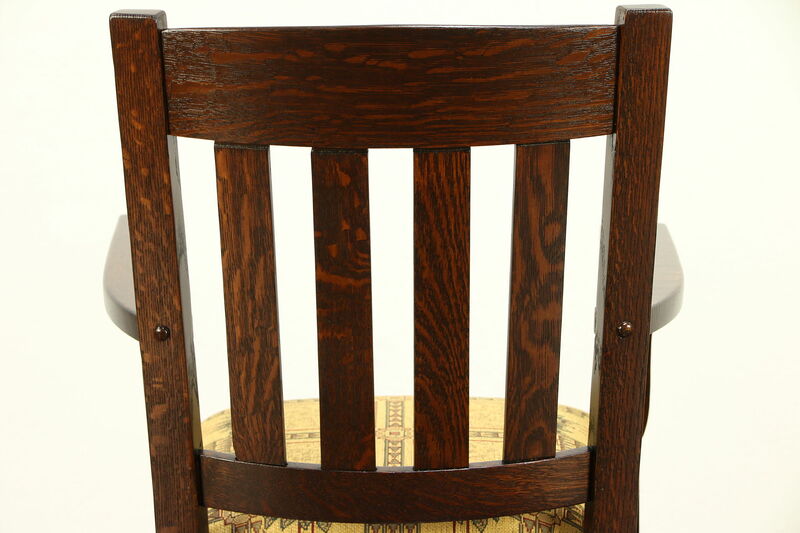 Measurements are 26" wide, 32" tall, 32" deep and the seat is 17" high. 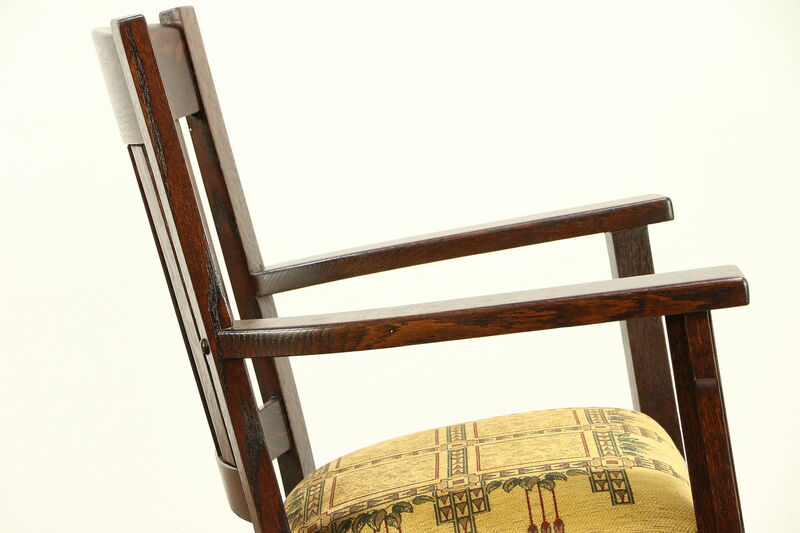 Please view 17 photos at full screen size for best detail. 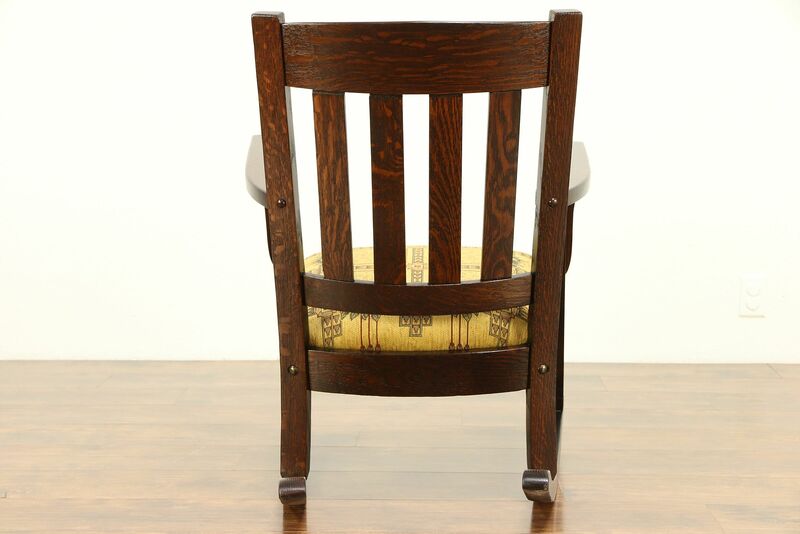 Similar chair in photos is sold separately.